Dear Musicians, Stop Crowd-Funding Your Careers! (Nashville, Tenn. – Nov. 16, 2015) – In spirit of the holiday, The Cains have released a new seasonal song, titled “Merry Christmas To You.” The original, thoughtful ballad, which was written by Billy Lawson and Ed Hill, as well as produced by Billy Lawson, is about missing a loved one during the holiday season. Madison Cain commented, “When you think of Christmas songs, you think of joy, family and everything merry and bright. But for so many people, Christmas isn’t perfect. Relationships have been severed and the most wonderful time of the year often brings its own sting. We hope this song encourages people to reach out, make the call they’ve been putting off, or write a letter—it’s never too late to say ‘I love you.’” The song is already available at digital outlets such as iTunes and Amazon, and will be distributed to Country radio. The talented siblings have had a busy year with the release of their self-titled EP, which includes the lead single “Journeys End;” a sentimental ballad about love, family and hope that is currently airing on Country radio and spent over four months on Sirius XM’s The Highway playlist. The EP was written by The Cains – Madison, Logan and Taylor Cain – and also features other writer credits including Jaida Dreyer, Stephony Smith, Billy Lawson, Ed Hill, Becki Devries and Dave Thompson. The Cains was produced/mixed by Daniel Agee and is now available on iTunes, Amazon and other major digital retailers. In addition to the EP, The Cains have been touring the U.S. and the U.K. In March 2015, The Cains broke onto the U.K. Country music scene with their first international appearance at London’s Country to Country (C2C) festival, Europe’s largest and most well-attended Country music event of the year, and have since returned as the opening act for Sasha McVeigh’s I Stand Alone U.K. tour, opening on select dates that took them to London, Glasgow, Oxford, Manchester and more. For more information about The Cains, visit their website at www.TheCainsOfficial.com and check them out on Facebook, Twitter, and Instagram. For press inquires and interviews, contact Simone Diamond at simone@aristomedia.com or 615-269-7071. 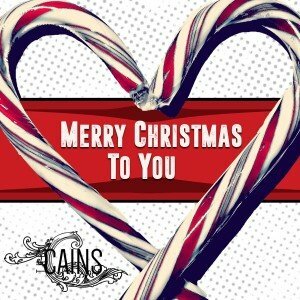 The Cains“Merry Christmas To You” Single ArtHi-Res Read more at AristoPR! 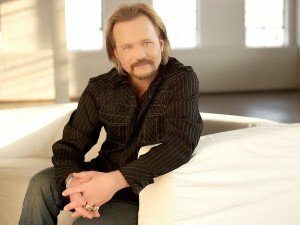 Kim Russo Visits Tritt’s Blue Ridge Mountains Cabin And Uncovers Dark History (Nashville, Tenn. – Oct. 19, 2015) Travis Tritt is scheduled to appear on “The Haunting Of…” on Oct. 29 at 9 p.m. EST / 9 p.m. CST. The one-hour episode, airing on Lifetime Movie Network (LMN), will feature the award-winning music star discussing strange occurrences he’s encountered at his lakeside cabin in The Blue Ridge Mountains. In this episode, world-renowned psychic-medium Kim Russo visits the house and uncovers the dark history of the secluded residence. “The Haunting Of…” is an original series featuring Kim Russo as she gives an exclusive look at celebrities who have had their lives changed by paranormal events. To view a trailer featuring snippets of this season’s “The Haunting Of…” visit here. For more information on Travis Tritt, visit his website TravisTritt.com and follow him on Twitter and FaceBook. The Cains perform at Culpepper Club in Basildon on Sept. 11, 2015. Photo credit: Get Flex’d (Nashville, Tenn. – Sept. 30, 2015) – Country music trio, The Cains, return to the U.S. after spending two exciting weeks on the I Stand Alone U.K. Tour. The group opened for U.K. artist, Sasha McVeigh, on select dates in various clubs that took them to London, Glasgow, Oxford, Manchester and more. [bctt tweet=”See how @TheCainsMusic faired with fans overseas! #CountryMusic #TheCains”] Sibling member, Logan Cain commented about the tour, “From start to finish, the U.K. has done for us what we want to do for others¾ feel loved. Each and every person we encountered went out of his or her way to make us feel welcome. We have an extremely busy 2016 planned and to have this opportunity as one of our first touring experiences will impact the course of our career forever.” In March of 2015, hot off the heels of a successful radio debut and packed performances at Country Radio Seminar 2015, The Cains broke onto the U.K. Country music scene with their first international appearance at London’s Country-to-Country (C2C) festival, Europe’s largest and most well attended Country music event of the year. After their wildly successful C2C performances, the group landed a cover feature and four-page spread on the U.K.’s leading Country music magazine, Up! Country Magazine. 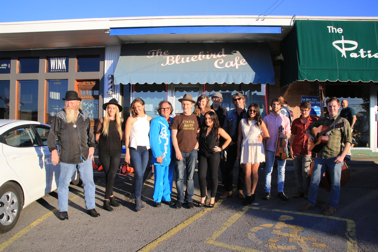 The group has also recently inked a booking agreement with Nashville’s The Kinkead Entertainment Agency. The Cains perform at The Ruby Lounge in Manchester on Sept. 18, 2015. Photo credit: Get Flex’d For more information on The Cains, visit www.TheCainsOfficial.com and follow them on Instagram, Twitter and Facebook. Read more at AristoPR! 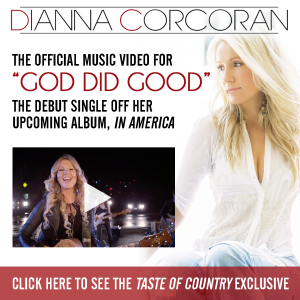 See the Exclusive Premiere on Taste Of Country (Nashville, Tenn. – Sept. 24, 2015) – Singer, songwriter and guitarist Dianna Corcoran has released a music video exclusive for her latest single, “God Did Good,” through Taste of Country. Produced by GearSeven Productions Nashville and directed by Connor Carroll, the video is now available for viewing on Taste of Country‘s website, here, and the song is available for download on iTunes, Amazon and other major digital retailers. The self-produced track was written by Corcoran, Jeff Cohen and Kristian Bush, and is a country-rock love song about how ‘God did good’ creating the protagonist’s love interest. Of the music video, Corcoran commented, “I love the story of ‘God Did Good.’ I had fun shooting the video and wanted something simple that would translate the story to the audience, along with genuine happiness.” As a young adult, Dianna’s first interest in Country music came through yodeling. She is now a multi-format recording artist with over 400 music awards, including two multi-award winning albums and two Australian Country Music Golden Guitar Awards. Corcoran also has a passion for philanthropy and has worked with The Australian Defense Force, deploying three times to perform for troops serving in Afghanistan and Egypt. No stranger to hard work both in and out of the studio, Corcoran is noted for working three jobs in order to fund her first record. One of which was a gig in a car parts plant that trained the blonde-haired, blue-eyed Country cutie to become a vehicle mechanic who can not only change the oil, tires and batteries in a motor vehicle, but also fully rebuild car engines. For more information on Dianna Corcoran, visit her official website at www.diannacorcoran.com and follow her on Facebook, Twitter and Instagram. 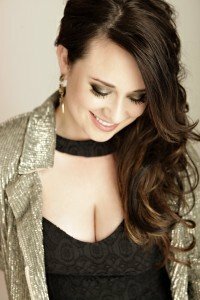 About Dianna Corcoran: Already a two-time Golden Guitar winner, (Australian Country Music Awards) including Female Artist of The Year, Dianna Corcoran is one of Australia’s finest country vocalists. Relocating to Nashville, Tenn. in 2011 after signing a publishing and recording deal in the U.S. with Krian Music Group / Universal Music Group, Dianna has worked extensively in the songwriting community throughout Stockholm, London, Germany, Australia and the U.S. With numerous No. 1 hits and cuts to her name, including an upcoming Hollywood movie opening theme, this sublime singer, songwriter, producer and young musical entrepreneur took her career to a whole new level by self-producing her first ever American release, aptly titled In America, which is set to release January 29, 2016. Most recently, Dianna released the first single off her new album titled “God Did Good” with songwriting credits including herself, Kristian Bush and Jeff Cohen. For more information about Dianna, visit www.DiannaCorcoran.com and follow her on Instagram, Twitter and Facebook. (Nashville, Tenn. – September 23, 2015) – Country music icon, John Anderson, has released a praiseworthy new single, titled “Don’t Forget To Thank The Lord,” to Country radio. The track, which is the second release from his most recent album, Goldmine, was co-written by Anderson and John Rich. “Don’t Forget To Thank The Lord” was shipped to radio on Sept. 14. Radio listeners will love the positivity of the song, which calls for us to be thankful for all the many blessings the Lord has given us. For Anderson, the single was born out of a sincere thankfulness for all the opportunities he’s been given to pursue his music. [bctt tweet=”Hear John Anderson’s new single, Don’t Forget to Thank the Lord at CMNB! “] “I’ve always loved the Lord and been very thankful He’s allowed me to do what I do. That’s a pretty good message for anybody, no matter whether they like the song or not,” said Anderson. To hear “Don’t Forget To Thank The Lord,” click here. “Don’t Forget to Thank The Lord” is even more powerful when performed live. To see Anderson on tour across the United States, visit JohnAnderson.com for a complete list of upcoming tour dates. Anderson released his new album, Goldmine, on May 26, which also marked his first album release in nine years. Released on his own record label, Bayou Boys Music, the 13-track collection of original material features authentic lyrics and Anderson’s signature sound. The award-winning and Hall of Fame songwriter wrote or co-wrote 12 of the album’s 13 tracks. The album is currently available on iTunes, Amazon, and other major digital retailers. Raised in Apopka, Fla., John Anderson grew up listening to both rock and traditional country, with plenty of country gospel mixed in for good measure. In the end, Anderson chose to pursue his country music dreams, a decision for which all his fans are very grateful. Anderson is recognized as one of the greatest country singers to ever step up to the microphone, possessing one of the most instantly identifiable vocal instruments in the history of the genre. Anderson got his start in 1977 when he signed with Warner Brothers Records. He went on to have his first major hit in 1980 with Billy Joe Shaver’s, “I’m Just an Old Chunk of Coal (But I’m Gonna Be a Diamond Someday).” Other hits include the classic “Wild and Blue,” released in 1982, and “Swingin,” the No. 1 Billboard Country single co-written with Lionel Delmore that would lead Anderson to garner the CMA Horizon Award. Throughout his career, Anderson has produced 23 albums and released more than 60 singles (26 of which charted in the Top 10). He was inducted into the Nashville Songwriters Hall of Fame on October 5, 2014, and holds a wealth of industry awards including Academy of Country Music Career Achievement Award. 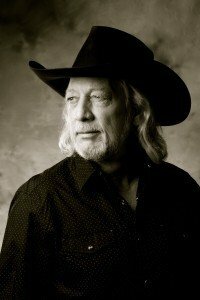 For more information on John Anderson, visit his official website at JohnAnderson.com. Follow him on Facebook, Twitter, Instagram and YouTube. 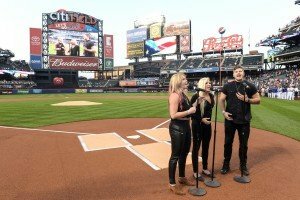 (Nashville, Tenn. – Sept. 3, 2015) – The Cains performed the National Anthem for a crowd of New York Mets fans at Citi Field on September 1, 2015. This was the group’s first time performing the National Anthem for a sports event in a major national league. A video of The Cains’ full National Anthem performance can be viewed here. The Cains are currently gearing up to be the opening act for Sasha McVeigh’s I Stand Alone U.K. Tour. The group will open for McVeigh on select dates in various clubs all over the U.K. Tickets can be purchased through www.SeeTickets.com. Click HERE to watch The Cains perform our National Anthem at Citi Field Read more at AristoPR! 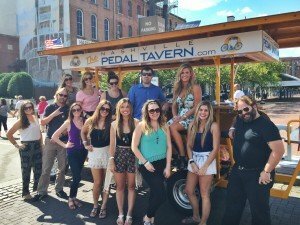 (Nashville, Tenn. – Aug. 13, 2015) – Amy Wilcox celebrated the release of her new single, “Summer In Slow Motion,” with Nashville-based media aboard the Nashville Pedal Tavern on Wednesday, August 12. The singer-songwriter hosted the fun-filled Nashville In Slow Motion event in support of her new single and music video for “Summer In Slow Motion.” The video, which was filmed at Nashville’s J. Percy Priest Lake, now has over 113,600 streams on YouTube, and can be viewed on Amy Wilcox’s official YouTube channel, here. For interview and mp3 requests, contact Sharilyn Pettus at Sharilyn@aristomedia.com, or 615-269-7071. Contact Sharilyn@aristomedia.com for Hi-Res Download Read more at AristoPR!